It’s hard to believe that #RSNA18 is just a few days away. The theme of this year’s show is the Radiology of Tomorrow, and we expect to see many discussions focused on how to make imaging data more available and accessible. 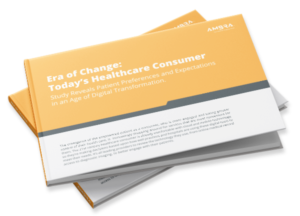 During a live webinar event Ambra Health CEO, Morris Panner, Charlene Tomaselli, Director of Medical Information Technology, Johns Hopkins Medicine, and Dr. Jonathan Messinger, Medical Director, South Miami Hospital/Baptist Health South Florida, discussed the 3 key topic areas they expect to be the talk of every booth on the show floor. We first asked our panelists, what are your tips for optimizing a full schedule at RSNA? Charlene said the Hopkins team bases their schedule on projects for the next year. They meet with their core vendors, new vendors, and set meetings ahead of schedule with both the IT team and radiologists when appropriate. Dr. Messinger also noted that besides scheduling in advance, it’s important to keep in mind that last minute meetings can occur and leaving some flexibility in the schedule is critical. The panel then jumped straight to discussing hot topics at RSNA 2018. How is patient imaging shared within and outside of facilities? Hospitals must ensure that their workflows are routing the right study to the right radiologist and subspecialty for faster patient care. Leading facilities have approached this complex endeavor in a few different ways. At Johns Hopkins, the IT team has put all the new community hospitals within their network on the same system. Many members of their oncology team travel to different hospitals to see patients, and they now can view imaging that has been done at the main hospital from any site. Extending the circle of care, especially to referring physicians, is no longer as constrained by geography as it was in the past. How do you make sure that everything works for referring physicians on the outgoing trip? Dr. Messinger said their team invested in an image sharing product that allowed them to provide studies to referrers. This was initially very unidirectional and is now bi-directional. Within the health system, there is a dedicated arm of IT that works with those physicians to make sure they are well connected and systems are working well. “A great combination of technology and people,” said Morris. Johns Hopkins adopts a similar system using “practice liaisons.” Additionally, a radiology fellow is also assigned each day that physicians can call into if they have any questions about which exam to order. A referring physician portal is offered to referring sites so they can easily view patient results and imaging. And what about extending access to the patients themselves? Dr. Messinger described how in the area of image and data sharing they are leveraging their EHR’s patient portal. However, the patient portal doesn’t have a robust image sharing feature, and their team is actively working to create a link for imaging. Charlene shared an interesting approach at Hopkins; at their new cancer center, patients are given an ID badge linked to the EHR. It can track where they are so if the patient is late coming to a CT they can find out why. To prevent patient no-shows and missed appointments, text message reminders are sent to patients. These are sent out on less busy days to that the team can respond in a timely manner. The panelists agreed that cloud architecture will pave the way in creating flexible workflows, building unified systems, and securely storing data. “The cloud makes it easier to scale,” said Charlene. In fact, Hopkins opened a cloud-based disaster recovery center in Virginia about a year ago. Morris noted that an enterprise IT must work as a team, and the cloud provides global infrastructure capabilities. Once imaging is freed from silos, its potential for research, AI initiatives, and machine learning expand indefinitely. Dr. Messinger brought up the question on everyone’s minds, who controls this information once it can be accessed? Charlene brought up Henrietta Lacks, a patient at Hopkins many many years ago whose cells were used to develop cures for many diseases. As our digital data enters the scientific stream of discovery, are we all becoming Henrietta Lacks? Leading academic facilities are determining new guidelines such as adding explicit language to patient forms, keeping data for internal research projects only, and establishing healthcare research clouds for academic research projects and multi-site trials. It certainly feels like imaging is on the cusp of change and progress. We’re excited to see more of these discussions come to life at RSNA! Click here to watch the on-demand webinar. Catherine Slotnick is a passionate healthcare marketer with a deep interest in the latest & greatest in the Health IT space. As Ambra Health's senior marketing manager, Catherine primarily focuses on creating and sharing thought leadership content in the radiology and informatics space. Catherine graduated from the University of Virginia with a BA in Psychology & Art History. When she's not writing, she enjoys cooking and petting dogs that aren't hers.